The day began as most any other, but on this morning, August 6, 1945, the world was about to change. At 8:15 am, the first-ever atomic bomb was dropped in Japan. The blast was felt as far away as 37 miles. Two-thirds of the city’s buildings were destroyed and estimates are that between 80,000 to 140,000 people were killed instantly. A thermal pulse ignited a firestorm so intense that it incinerated everything within a 4.4-mile radius of ground zero. Yet, just eight blocks from ground zero, in defiance of all odds and science, eight German Jesuit priests walked out of their home with only minor injuries. Theirs was one of only a few buildings still standing. Not only were the priests virtually unharmed, but over their rather long lives, they suffered no ill effects of radiation exposure, no loss of hearing, no diminution of sight, nothing. Fatima, a small rural village in Portugal, was relatively unknown prior to 1917. In that year, however, against the backdrop of the horrors of World War I, a Lady from Heaven appeared to three young shepherd children as they played and tended sheep in the Cova de Aria. The subsequent series of heavenly visits reverberated around the world and were crowned with arguably the greatest miracle of the 20th century. This was not the cure of a single person from some questionable disease, but rather a celestial event witnessed by 60,000 to 70,000 people gathered in anticipation of a miracle promised by the mysterious Lady over three months earlier. The spectacle was witnessed by people as far away as 25 miles, even by those who had no idea that it was supposed to take place. Today, one hundred years later, over 4 million pilgrims descend upon Fatima each year as a testament to the extensive power of the events that took place in 1917. You see, at the request of 10-year old Lucia dos Santos, the oldest of the three visionaries, the Lady promised a miracle for all to see during her final appearance on October 13, 1917. She even promised the hour at which it would occur. And she promised these things the previous July. The children relayed her message both to the faithful and skeptics alike, placing their lives in extreme danger if the promised miracle did not occur. But such is the faith and innocence of children. As promised, the 70,000-plus were not disappointed. They watched, first in amazement and then in horror as the sun danced in the sky, then fell toward earth, completely drying the rain-soaked ground and the drenched clothes of all assembled. As the sun returned to its rightful place, atheistic journalists from the secular newspapers, there for the sole purpose of debunking the story of the apparitions as childish nonsense, wrote front-page stories about the miracle they experienced. There was simply no denying that a miracle, one promised by Our Lady of the Rosary, had occurred. But there is more to the story of Fatima than miracles and apparitions, for during her six visits with the children, Our Lady shared with them three secrets and several promises, revelations that will alter the course of history if her requests are heeded by the people. The complete story of Fatima, the apparitions, the miracles, the secrets and the promises are examined in extraordinary detail in the newly-published book, The Promise of Fatima: One Hundred Years of History, Mystery, and Faith. This hour-by-hour, day-by-day accounting of the events are chronicled in the book that has already changed lives as the message of Fatima promises to transform the world. Learn for yourself the extraordinary secrets and the miraculous promises revealed in this book, or give it to a loved one as a holiday present and perhaps you will witness your own Christmas miracle. Both Kindle and paperback copies are available on Amazon.com at https://www.amazon.com/s/ref=nb_sb_ss_c_1_12?url=search-alias%3Daps&field-keywords=paul+caranci+books&sprefix=paul+caranci%2Caps%2C152&crid=ENW0OFAXQMGH. Paul F. Caranci is a third-generation resident of North Providence, Rhode Island, and has been a student of history for many years. He is an author with seven published books to his credit including two award-winning books. The Hanging & Redemption of John Gordon: The True Story of Rhode Island’s Last Execution (The History Press, 2013) was voted one of the top five non-fiction books of 2013 by the Providence Journal. Scoundrels: Defining Corruption Through Tales of Political Intrigue in Rhode Island (Stillwater River Publications, 2016) was the winner of the 2016 Dorry Award as the non-fiction book of the year. Paul’s book Wired: A Shocking True Story of Political Corruption and the FBI Informant Who Risked Everything to Expose It (Stillwater River Publications, 2017) tells his own story of courage in the face of the political corruption that surrounded him. GIVEAWAY! The author is offering a print copy of The Promise of Fatima to one lucky winner (US residents only, please). All you have to do is comment below. The winner will be selected at random and the author will contact you directly. Contest ends one week after blog publication. Next ›It’s #RIAuthor Month – Meet Ana Arelys Cruz Cabrera! I would like to read this, it sounds like a fascinating book. Whereas I write fiction, Paul writes about real incidents and historical and political events. And Paul does it quite well. I have read many of his books, and hope to read more of them as he continues to write them. I have yet to be disappointed! I bought 4 of these. One for myself, One for our Pastor, Father Dave, one for newly ordained, Father Chuck and one for Deacon Chris. Will start reading after Christmas. Can’t wait!! The historic and miracle content sound really great! I’d love to read your book! Thank you for the opportunity to win this wonderful book. Always believe in miracles! I bought two copies already, one for my mom and one for my aunt (My aunt is currently undergoing chemo treatments for lung cancer, and since she has to spend more time at home, reading gives her something to do). Both my mom and aunt have been to Portugal and visited Fatima, so I knew they would love this book. Paul, by the way, my mom has a picture from her last trip…..she met and had her picture taken with a cousin of one of the children. I would be happy to win a copy to give as a gift to another aunt of mine. Sounds intriguing! I would like to read more ! 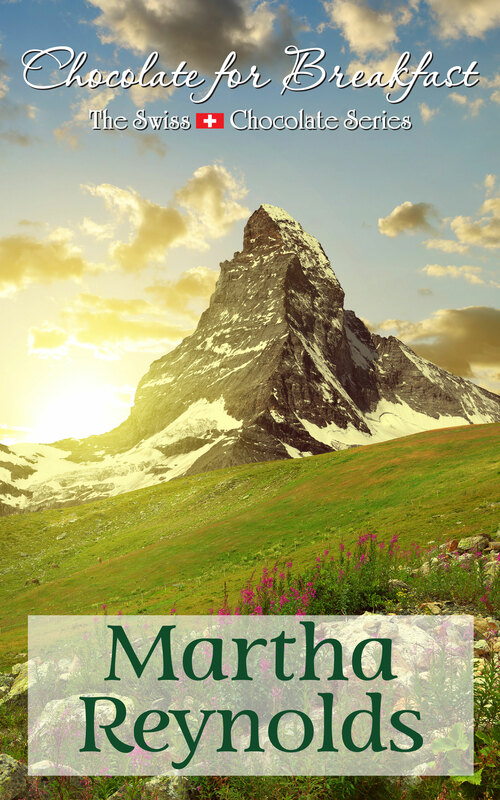 Thank you so much for the opportunity to post on your blog, Martha. I am most grateful.